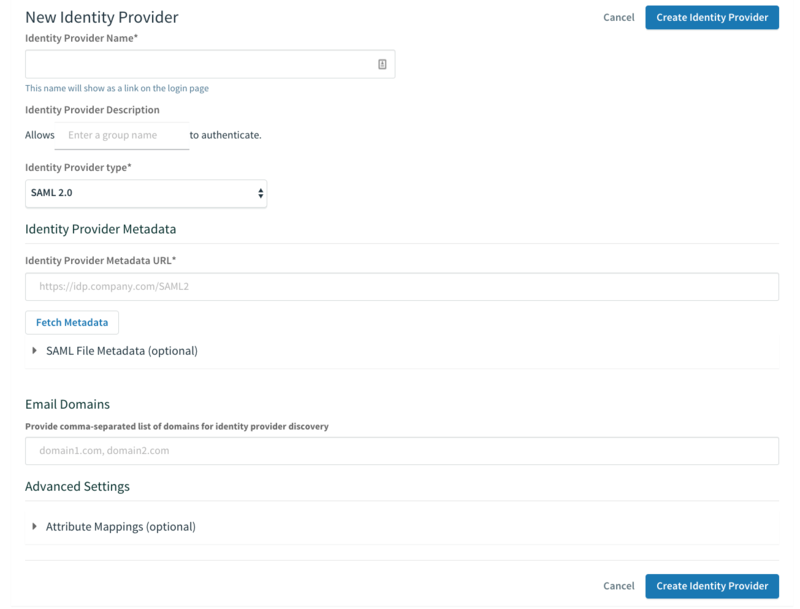 Log in to the SSO dashboard at https://p-identity.YOUR-SYSTEM-DOMAIN as a Plan Administrator. Click SAML File Metadata (optional), then click Upload Identity Provider Metadata to upload your metadata XML. For Select Permissions, select the permissions to grant to the members of the group from the external identity provider. Under User Attributes, map the User Schema Attribute of “external_groups” to the Attribute Name value of “groups”. If you did not perform the steps to customize the SAML assertion value, use “http://schemas.xmlsoap.org/claims/Group” as the Attribute Name instead. Groups now show up from the SAML assertion as claims. You can pull these values from the user’s stored custom attributes using the roles scope on the ID token or through the userinfo endpoint, or map these to permissions using Resource Permissions mappings. For more information, see Create or Edit Resource Permissions.